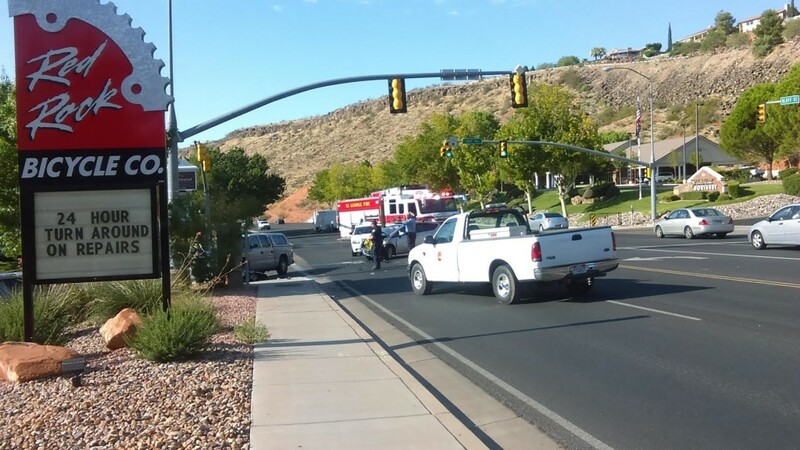 ST. GEORGE — A collision at the intersection of Bluff Street and 100 South in St. George occurred Monday when one of the vehicles involved turned left into oncoming traffic. Around 9:20 a.m., a 2014 Nissan Versa was southbound on Bluff Street making a left-hand turn onto 100 South at the intersection. Heading northbound at the same time was a 2004 Dodge Dakota pickup. 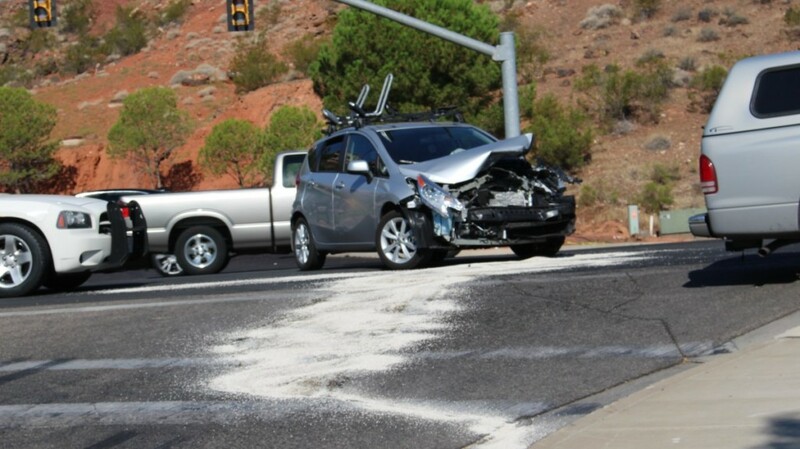 The driver of the Nissan allegedly turned left in front of the Dodge and triggered the collision, St. George Police Officer Jamison Hale said. The front end of the Nissan was smashed in by the impact while the pickup was knocked onto the curb and into a light pole. 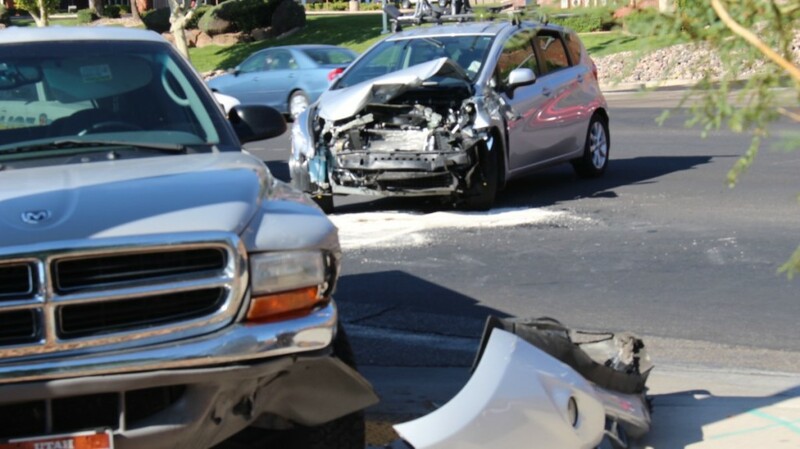 Both vehicles were rendered inoperable and required towing from the scene. There appeared to be no serious injuries, though a woman who was a passenger in the pickup was being examined by paramedics after complaining about some pain in her left side due to wearing a seat belt, Hale said. 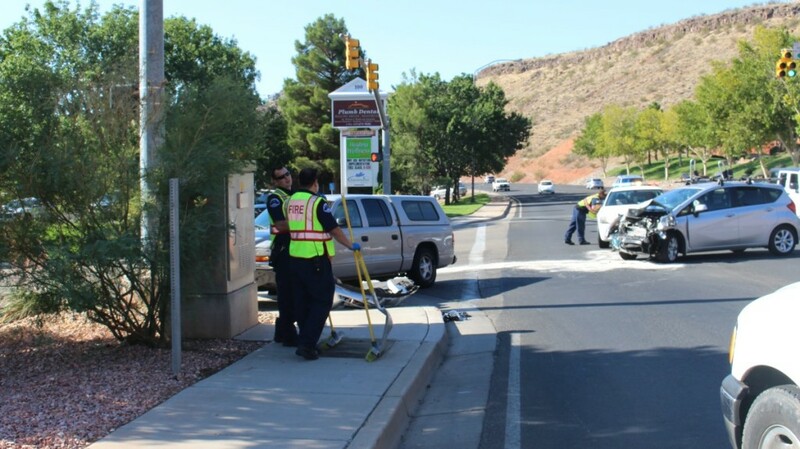 The St. George Fire Department and Gold Cross Ambulance also responded to the crash. 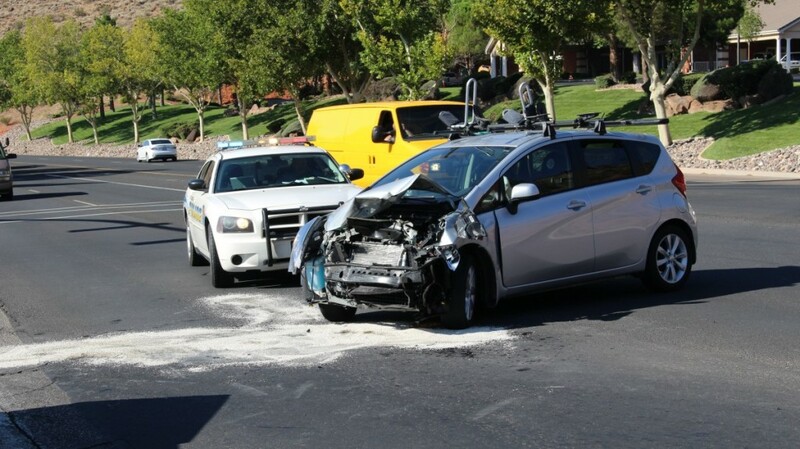 The driver of the Nissan was issued a citation for failing to yield on a left-hand turn. I see near-misses at that intersection all the time. People making the LH turn are caught off guard by the North bound cars flying around the curve at 60 mph! Maybe some speed enforcement would help? When will the owners of those lightweight economy cars learn that they are very poor choices for playing bumper cars ? While they are fabulous for gas savings , the drivers need to be twice as cautious when engaging in cross traffic moves . WAIT until oncoming vehicles have cleared Before making your moves . You are driving in THIN metal vehicle & risking your life just to save 30 seconds of driving time . . .